I am always online looking for fun learning games for my son. It’s so important to find something that he can enjoy while learning at the same time. He is a very busy kid and has a hard time sitting even if it’s only for a few minutes. I try to find games or other learning activities that are fun for him. Super Duper® Publications offers a wide variety of creative and educational products. They offer products from infants to adults to assist in learning and finding the best way to teach your child or others with learning disabilities. The staff at Super Duper® Publications are certified learning experts and offer you the best learning tools for your kids. While browsing their huge eCatalog you can find software, games and even iPhone Apps. If you are looking to improve your children’s educational abilities try fun games like Jeepers Peepers and Ring Bling. Jeeper Peepers has even been awarded eight top honors including the Good Housekeeping Best Toy Award! They offer several hundred games that are sure to make learning fun for your child. We got to review The Handy Game of Following Directions, Ring Bling. At first I wasn’t sure what my son would think about the game. I thought he might associate the rings with more of a girl’s game. He didn’t even question it. They have 50 fun rings for boys and girls included with the game. Each child selects a card. The card will have a hilarious direction on it they get to act out. Our first card had: act like you’re driving a race car. We had so much fun acting out the cards together. After you act out your direction you spin the spinner. You can earn one or two rings for their Happy Hand or give a ring to a friend. The child who earns the most rings wins the game. I love how this game allows your child to think creatively. There is no right or wrong way for them to act out their directions. It’s also a great way to improve reading skills. 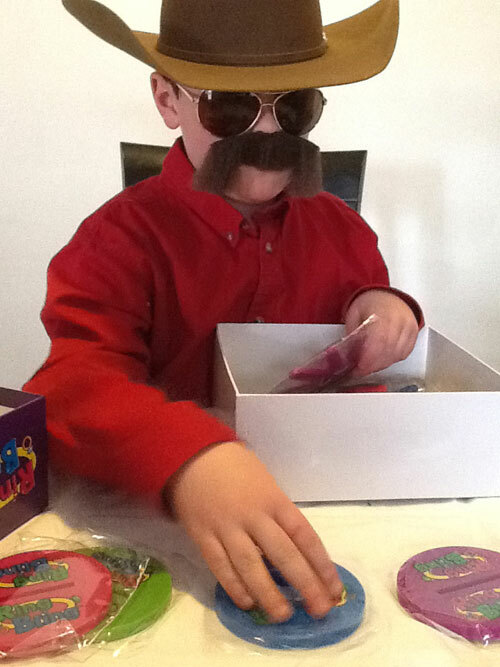 I let my son read all of his cards and he done a great job! We had so much fun playing this game and I plan to purchase other great learning games from them. Enter to win a $50 gift certificate to Super Duper Publications. This looks like a fun and neat game, i love the creativity in the learning games for kids, they are great!! This game looks like a lot of fun! Learning and fun together makes a great combo! That’s cool! It’s like charades where you have to act things out! Except nobody has to guess so it makes it more fun and creative to act things out the way you want (or the child wants) and it removes the pressure to get the acting out correct. I like that collecting the rings is based on the spinner! So it’s all luck! 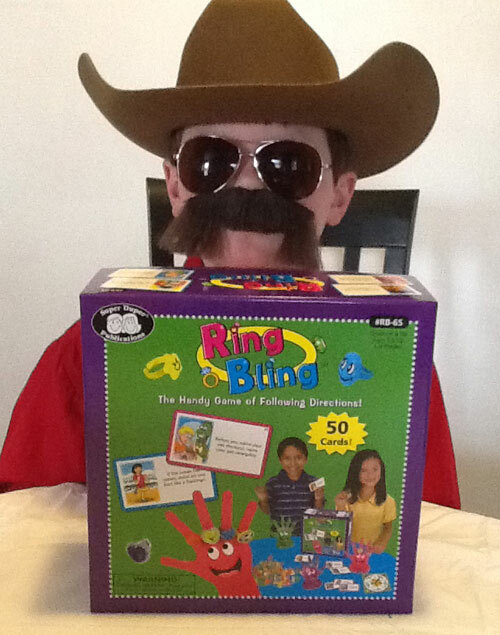 Thanks for your review of the Ring Bling game from Super Duper Publications! If all Super Duper Publications games are this kid-friendly, I am definitely going to remember them as a good company that makes great games! I also love learning games for the kids of all ages-it’s lots of fun and learning at the same time-this sounds like a game I would love to add to my shelf, thanks for sharing this post-with April showers right around the corner-it’s time to invest. Enjoy! I love finding games that are fun and teach the kids at the same time. I love learning games for kids. This is awesome review! Never saw this game before. The kids would love to play this and it would keep them busy. My son is just starting ti like games. How fun this one will be for me too!! The kids would have so much fun with this game! Thanks so much for the review. I love kids games that are fun and educational! I like to give my kids toys that are both fun and educational – no reason why we cannot learn while playing.